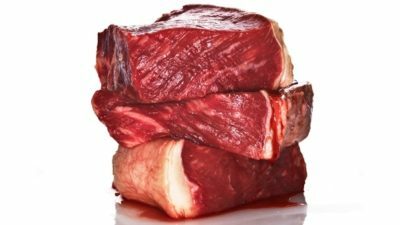 If you are a red meat lover and many men are, you are about to find out how you can make it healthier for you. You probably already know it isn’t the greatest for you. Many studies show that if you only eat a limited amount of red meat it will improve your heart health. Some studies show that too much red meat can lead to cancer, especially when it is processed such as with ham, salami, sausage and hot dogs. So, far you have mostly gotten bad news here about red meat. What about the healthy aspects? 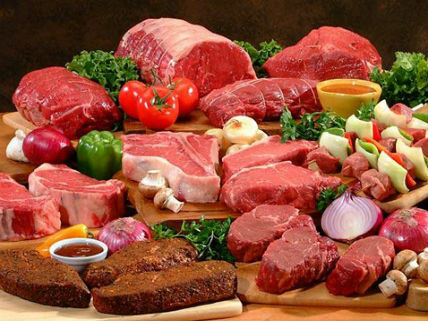 Well, red meat is full of nutrients such as selenium, zinc, iron, protein and B Vitamins. Getting the correct portions of red meat is going to help you live a healthier and balanced diet. Red meat is a great source of getting your iron. If you one of the men who has a higher risk of becoming iron deficient of if you already are, red meat is going to benefit you. Being low on iron can lead to many frustrations in your life including daily exhaustion, less productivity, lower focus and much more. You can prevent these things by getting in a portion of red meat. When you want to eat red meat, you need to think about your portion sizes. Many men would love a big, red juicy steak. However, if you are going to eat red meat one of the best things for you to do is to eat it as a side dish for your meal, instead of the main entrée. Think about it this way. Half of your plate for a meal should be with vegetables and fruits and ¼ or less with red meat. While a small steak may be 6 ounces, you should only have 3 ounces for a meal. Another way you can make red meat healthier is to eat a little bit of it and not a lot. You should not be eating red meat every day for multiple meals. You should only have a maximum of 18 ounces of red meat in one week. In addition, when you cook your red meat, do so at a lower temperature. This gives the meat a longer time to cook. You should cook red meats at under 300 degrees Fahrenheit. It is also best to cook them by roasting or braising them. When you are going to eat red meat, pick the lean meats. These are the healthiest for you. This is because they are lower in fat, cholesterol and calories. The lean red meats have fewer than 10 grams fat for each 100 grams in one serving. If you are going for extra lean you should have only 5 grams fat for each 100 grams in one serving. Examples of the leanest red meats are top sirloin steak and round roast. Before you cook it, though, you should cut off any fat you can see. Do not eat processed red meats. These will increase your risk of cancer and decrease your overall health. If you do eat them, only do so rarely. Processed meat has too much preservatives, salt, cholesterol and fat. If you are going to eat red meat, there are ways that you can make it healthier as you see here today. You can still enjoy red meat but in limited portions per week and cooking it in certain ways as well. Stay away from red meats that are processed. Choose leaner red meats as well and you will be all set. Red meat can be very tasty. Yes, you might miss eating a big, fat red juicy steak but you will survive. Use these tips for eating and cooking healthier red meats.